I picked up some strawberries at the Salinas Farmer's Market this Saturday. 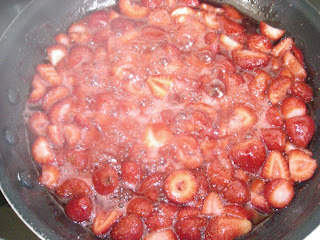 The overall quality of strawberries has been okay, but there are alot of small and medium berries. While the cool weather has helped the berries the 1/4" or so of rain we got will keep harvesters out of the field for a few days. Driscolls had just started harvesting in Oxnard. Anyway so I picked up a couple baskets of these smaller berries to make some quick jam. Let cook 10 minutes or so, stiring occasionally and skimming excess foam. 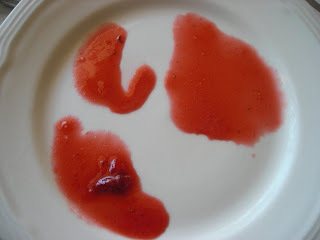 As the mixture becomes a jelly, test consistancy on a cold plate. At desired thickness remove from heat. 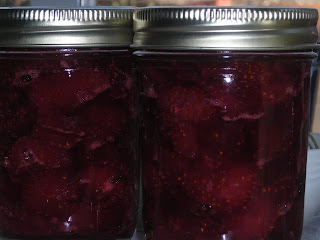 Scoop Strawberry Jam into 2 prepared canning jars to just about 1/8" below the top and screw on tops. 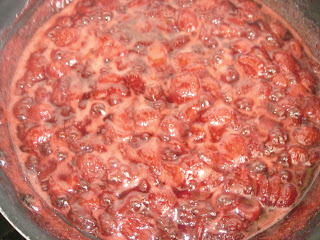 Place in steam canner and cook 10-12 minutes. From Fresh From The Farm Market Update: PEARS:WA Bartlett and Anjou volumes are expected to be stronger than LY while Bosc will be slightly down. Quality on all is good to very good; beware that new crop Bartletts should be stored as close to 32 degrees as possible to prevent yellowing. Labor availability in the northwest can not keep pace with growers’ needs. There is continued availability of CA Bartlett supplies with good quality. Well there wasn't much of a supply at the Farmer's Market on Pears although there was a good selection of apples from the Central Valley. I stuck with California Bartletts from Nob Hill and kept the Canner Steaming. 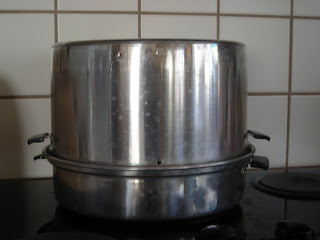 I bought this steam canner after a trip to Apple Valley California with the now ex-wife. 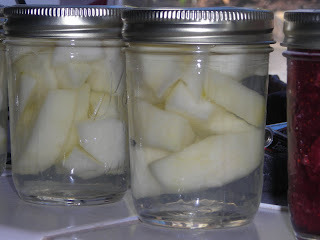 We made Applesauce and canned slice apples for a full day. Madi, my 15 year old still talks about the applesauce 10 years later. I ended up losing the canner, initially in the divorce. 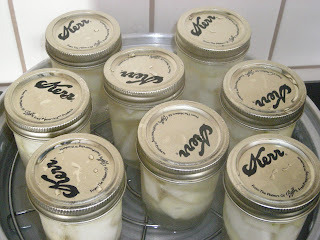 But she decided she would not be canning again. And, after all, the resale value at a garage sale of my golf clubs were alot better than a steam canner . Directly on the bay, and in the heart of Monterey's historic Cannery Row, The Cannery Row Hotel will offer magnificent panoramic coastal views and luxurious interior decor. The hotel is located next to the Monterey Bay Aquarium on historic Cannery Row. The hotel will feature a boardwalk and observation pier over the Bay. The hotel is comprised of two four-story buildings connected by an enclosed bridge over Cannery Row. Parking is provided in a separate four-level garage structure. - 208 Guestrooms and Suites; all guestrooms and suites have central air-conditioning and heating, and typical guestrooms and suites have separate shower and bathtubs. Approximately 150 rooms will have gas-burning fireplaces. -8,900 square feet of banquet and meeting space for groups of 10 to 250. 3,300 s.f. Grand Ballroom, 2,300 s.f. Terrace Ballroom, plus 7 break-out rooms. IHG [LON: IHG; NYSE: IHG (ADRs)], the owner of the InterContinental Hotels & Resorts brand, today announced the signing of InterContinental The Clement Monterey in California. The 208-room property is owned by Cannery Row Hotel Development Venture, L.P., under a license agreement with a company in the InterContinental Hotels Group. 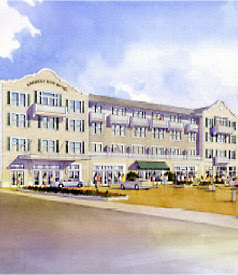 The hotel will be managed by Pacific Hotel Management, LLC and is currently under construction with a scheduled opening in the second quarter of 2008. Located at 750 Cannery Row, Monterey, Calif., InterContinental The Clement Monterey, the first new hotel to be built on Monterey Bay in more than twenty years, is beautifully positioned overlooking the water along the scenic Northern California Coast. Conveniently located next to the Monterey Bay Aquarium, one of the largest and most respected aquariums in the world, InterContinental The Clement Monterey is in the heart of the street immortalized by John Steinbeck’s 1945 novel Cannery Row. Comprised of three buildings, the hotel will maintain the architectural integrity of this spectacular coastal community through contemporary craftsman-style detailing. Guests can take advantage of the stunning views of the harbor seals and natural habitat of the bay from the courtyard, balconies and boardwalk. The hotel will feature 8,500 square feet of indoor meeting space, approximately 5,000 square feet of outdoor event space overlooking Monterey Bay, a grand fireplace in the lobby, a signature restaurant and bar, a luxury spa and a fitness center with an outdoor lap pool. InterContinental The Clement Monterey is the fifth hotel in the western United States, joining the landmark InterContinental Mark Hopkins San Francisco, InterContinental Los Angeles Century City, InterContinental San Francisco (opening January 2008) and InterContinental Montelucia Resort & Spa Paradise Valley (opening Summer 2008). The brand continues its global expansion with the opening of its 150th hotel, InterContinental Dubai Festival City, followed by InterContinental Hanoi Westlake, the the brand’s first hotel in Vietnam, and Grand Hôtel InterContinental Stockholm joining the portfolio on January 1, 2008. CHEESE: Barrels closed at $1.9000 and 40# blocks at $1.8150. The weekly average for barrels is $1.9295 (-.1595) and blocks, $1.9085 (-.1925). The cheese market is weak as prices continued to trend lower early last week, followed by a rebound at midweek and another decline on Friday (9/21). Traders are sharply divided on their short term price expectations. Buyer interest has been stimulated by the recent sharp price decline. Current cheese supplies are limited with mozzarella generally in the tightest position. While many buyers kept lower inventories at the higher prices this summer, the usually stronger fall cheese sales have depleted inventories and forced buyers to make purchases. Cheese production is steady to occasionally higher where less milk is needed by bottlers and milk component levels are increasing. Cheese and nonfat dry milk (NDM) price forecasts are raised for the end of 2007 and 2008, while butter and whey price forecasts are decreased for the same time period. The Class III price forecast is raised to close out 2007 as a higher cheese price forecast more than offsets lower expected whey prices, but the forecast for 2008 is lowered due to weaker whey prices. BUTTER: The butter market closed for the week at $1.3700. The weekly average for butter was $1.3820 down (-0.0115) from last Friday. Butter markets across the country are generally steady with prices fluctuating within a narrow range. Churning schedules are seasonally active as cream supplies are available to maintain steady output. Producers and handlers continue to comment on U.S. butter production clearing the country for international needs. Most feel as long as producers continue to fill this buyer interest and domestic supplies remain relatively balanced with needs, international production and clearances will probably continue from the States for the foreseeable future. Domestic butter buying interest is seasonally fair, although producers and handlers are reporting that year end buyer interest continues to build. Some retail feature activity is being scheduled, although projected features at this time appear to be lighter than previous years. Producers and handlers feel that, if prices remain within current levels, more features might develop. MILK: Milk production is increasing in the Southwest with the improving weather conditions in California and Arizona helping to improve cow comfort. Bottled milk demand is good as school accounts are filled. Good retail movement is seen, especially in areas with feature activity. Processing plants are actively handling the milk supply with milk moving around to find plants with room in the West. Milk supplies are steady to higher in the Pacific Northwest and in Idaho and Utah. Plants are running actively to balance the local milk offerings. Midwestern plants are actively processing the steady to higher milk supply. There has been shifting of milk into cheese plants to help meet orders. Eastern milk production is mostly steady and handlers are reporting fluid, cheese, and butter/powder plants are seeing demand at consistent levels with recent weeks. EGGS: Current retail demand has slowed to an “Only Fair” level with Larger Sizes “Available” in a market “Under Pressure”. Retail demand has slowed nationwide to an only fair level. There has been no mention made about any in-place promotional activity or its relative effectiveness out in the market. Wholesale trading activities have increased somewhat in volume, but still carry varying degrees of economic support and even lack of support, to existing quotations. Further processors have markedly increased their interest in acquiring additional supplies, but focus their price points for certified stock at the lower end of current ranges requiring additional modification this week. Supplies of the larger sizes are available and the he market is under pressure. Interest in the acquisition of liquid products is moderate, but is unmatched by an equivalent sales interest. A few isolated discussions held today indicated that some softness may be creeping into liquid yolk values. This will be a focus of attention this week. Chuck Meat: Steady at higher money. Packers may trade-off price to achieve a desired inventory position. The Chuck market should remain steady based upon increasing domestic demand and contracted volume for export business. USDA Choice Rib Eye meats will increase steadily throughout the week while lesser grades struggle to find a way into the market place. Strip Loins, Short Loins and Top Butts will remain steady to slightly higher in price due to the limited numbers of USDA Choice graded cattle. PSMO Tenderloins will move much higher in price this week as a result of short supply and strong forward sales. USDA Select and lower Round cuts will trade this week. USDA Choice will enjoy modest price increases as a result of poor grading and excellent forward sales. Supplies are big and wholesale prices are declining and putting pressure on the live market which saw prices barely steady to lower on Friday. A few buyers were said to be out looking but most packers claim to be full through the middle of the week. Direct sales were mostly lower with the exception of one location that was basically steady. Terminal markets were seen mostly steady in very light volume, tops ranged from $39.00 to $43.00. Hams are steadily traded with the exception of 23/27 hams that saw prices slip a penny. Bellies had some trade at lower levels on a few sizes but volumes were fairly light, the market is expected to settle out near these lower levels. The market for fresh trimmings remained steady but rumors of cheaper fat trim down the road seem to be very common as that part of the complex remains very available from multiple points of sale. The retail side of things saw minimal interest with the majority of sales seen around listed levels. Average weight: Live 263.64 lbs. Carcass: 200.15 lbs. Pork Loins: Pricing is steady with little pressure to advance from Retail interest. Watch for packers that are boning loins to offer lower back-rib prices at this time. Hams: 20/23 Ham prices moved lower from ample supplies. Hams inventories had been balanced but the large slaughter rates push more meat into the market than can be handled. With no export sales support to move hams, the market will be soft causing a delay for the fall seasonal increase. Pork Bellies: 14/16 Belly prices are stable. There is downward pressure as supplies continue to out pace demand. Watch for continued softness the next few weeks. Pork Butts: It’s expected that there may be slight upward pressure at current values but with all of the fresh supplies any increase will not hold at this time. Pork Trimmings: Anticipate continued downward pressure in this segment from ample supplies. Ribs: Spareribs prices are attractive at current levels and are positioned at the seasonal low to generate buyer interest. Sows: 5-550# Sows are trading at $45 cwt. Tenders and boneless breast continued to slide downward as current supply overwhelms demand. The better weather in the southeast has brought with it larger bird sizes just in time for the historical post Labor Day market downturn. Dark meat has seen some weakness the past two weeks but has not been dragged down as much as white. This could be due to exports due to the weak dollar. One item that we do not see becoming abundant, but quite the opposite is jumbo wings. Wings and especially jumbos will remain firm and may well be short of need later this year. The major news is that scallop fishermen should expect a moderate decrease in the number of days they may dredge for scallops during the 2008 and 2009 fishing seasons, according to Deirdre Boelke a fishery analyst for the New England Fisheries Management Council. A final vote is expected by October 25th. The New Zealand Hoki fishery has been determined to meet MSC’s standard for environmentally responsible and sustainable fishing. This was the conclusion of the independent third party certifier, SGS, after a lengthily, science-based and transparent assessment process. In this world of ever tightening fish stocks this is good news. Market appears stable for the traditional shatter pack product. Large fish out of Namibia has found its way to our market place. 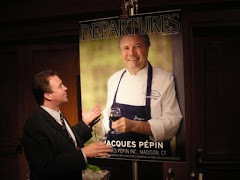 Although not inexpensive it is large in flake, meaty and an excellent product for a high end restaurant. Skin-on and skinless 2-4 fillets firmed as availability for prime size product continues short of full needs. The situation overseas-Argentina-remains tight, causing no potential softening for destination markets. The undertone is full steady. Steady supplies are keeping the market stable. There is a chance as inventories build it could push the market lower for the weekend. Some shippers may be taking deals to move excess volume causing a wider range in the market. The recent hot weather has sped up growth and increased quality issues, such as mildew, light weights, and some weak tips Salinas and Santa Maria are supplying our market with lettuce. Seeders may become an issue due to the hot weather. The weights of palletized lettuce are in the 45 - 48 pound range on 24 count packs in Salinas and Santa Maria. Leaf markets have once again slipped downward from last week’s levels, due mainly to lack of demand. Supplies for this week look to be better than previous weeks. Green Leaf is becoming more in line with Red Leaf, and Romaine. Butter lettuce continues to trade at higher levels than the other leaf packs, mainly due to quality issues from the previous hot temperatures. Prices may vary from shipper to shipper on all leaf packs causing a wide range in prices. The quality out of Salinas continues to be nice on romaine with weights in the 35 to 38 pound range, and just a few reports of mildew. The quality is acceptable on the other leaf packs. The broccoli market is once again continued upwards. The supply of broccoli has leveled off and looks to lighten up while demand has increased as a result of export activity to Japan, and Korea. Quality will be good this week, however, there are some signs of brown bead, and purple cast to the broccoli. Hollow stem may become an issue because of the recent hot weather. Packers are asking for advance notice on iceless products. Field production is a little ahead of schedule helping to bring the market down after its brief period at higher levels. Supplies look to be increasing for the remainder of the week. Demand has not continued its upward momentum. Prices will still vary from shipper to shipper as their volumes change. The quality of cauliflower is still good with white to off-white color and weighing in the range of 28 to 32 pounds. The carrot market is steady on the West Coast. All shippers have adequate supplies and quality is good. With school starting up, all snack pack sizes are in high demand. Production will remain in Lancaster, CA until we move to Bakersfield in November. Michigan has some supplies and will be going through the first part of October, weather permitting. Quality out of Michigan is good and the market is steady. Georgia will start up in Mid November. The celery market is advancing a little higher, as supplies on larger celery are tight. Michigan and Canada are starting to wind down, allowing shippers to firm up their prices on all sizes of celery. The quality of celery is nice with color ranging from medium to dark green, while weights on celery continue to be in their normal range of 55 to 65 pounds out of California. However, we may start to see signs of pith. Strawberries: Light demand is keeping the market steady. Cooler weather is helping to improve quality but will slow down harvest. Fruit sizes are small to medium. Stem strawberries continue to be in short supply. Driscoll is starting to harvest some new crop straws out of Oxnard. Quality is fair. There is a slight chance of showers on Thursday. Raspberries/Blackberries: Good demand and light supplies are causing a firming Raspberry market. It will be November before supplies get better. Quality is good. California blackberry supplies are coming in short supplies. Again supplies will not get better until November when Mexico blackberries start up. Market is firming. Blueberries: Good Demand and light supplies out of the Northwest is causing a firm market. The harvest will slowly transition to South America in November. Look for supplies to stay tight. Quality is fair to good. Idaho potatoes are going strong with good availability and quality. 2’s will continue very limited in their availability through the Norkotah crop until Burbanks start up again. Washington has good supplies of new crop Norkotahs. Colorado and Texas are going with good supplies of new crop Norkotahs. Red potatoes are finished in California. North Dakota, Wisconsin and Minnesota have good supplies. New crop Mount Vernon product is now available out of Washington with very good quality and supplies. White and Gold potatoes are coming out of North Dakota, Washington and Wisconsin. Quality is good. Supplies are very good for Idaho/Oregon onions with good quality and sizes peaking on colossal yellow. Harvesting of California onions is winding down, but there are still supplies available of storage onions. Washington and Colorado both have good supplies now of all colors. Market on all colors remains steady. WA markets are basically stable once again. Red Delicious storage supplies are rapidly dwindling but they linger on; new crop continues to lift off the ground. Golden Delicious new crop volume is now actually decent. 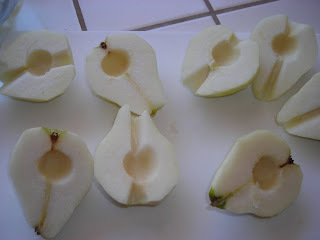 Granny Smith new crop remains limited but continues to improve; while CA supplies remain good. Harvests on Cameo and Pink Lady have yet to begin. The trucking scene has tightened considerably. WA Bartlett supplies continue with good numbers while Anjou production continues to lift off. Bosc production has begun with limited numbers. There is continued availability of CA Bartlett supplies with good quality. Markets are steady as supplies are meeting demand. With the exception of Petites and Quads, product is readily available. Quality is generally good to very good with the exception of some ripe hands mixed in for both conventional and organic fruit. CA stone fruit supplies continue to tighten while overall quality remains very good. Pineapple volume continues to be tight; we do not expect solid relief until early to mid November. Current production and availability is shifting to larger-sized fruit increasing the price pressure on 6’s-8’s. The best value is now on 5’s. Markets are soft and easing down as Mexican and Chilean supplies increase and current demand has weakened. CA availability will be totally done by the beginning of next week but should start back up in November. Mexican quality appears to be mixed, ranging from some lots qualified as marginal to some qualified as very good. The consistently better quality will be currently found on Chilean fruit; there are some minor issues with freeze damage and breakers, but quality is mostly very good to excellent. Although markets have pretty much stabilized, FOB’s remain high and strong due to solid demand and multiple supply issues. We do not expect volume to rebound until the middle to end of next month. Some potentially better supplies for the weekend may ease pricing a bit. We may see a little bit of a bump up in Mexican supplies early next month due to new acreage breaking. Mexican quality is decent but not great; Peru has the better quality. The Florida season is beginning a couple weeks later than usual due to maturity levels. By mid October we should see decent availability on Fallglo Tangerines, Ambersweet Juice Oranges and Navels. By the third week of October, Grapefruit and Hamlin Juice Oranges should be in volume. And, by mid November, Sunburst Tangerines will have ramped up. Valencia markets are mostly steady as teens and smaller remain fairly tight. Re-greening remains an issue and puff and crease is also an issue. 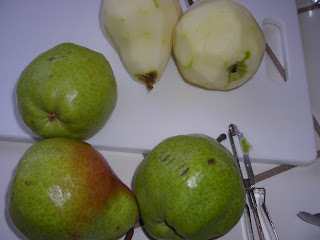 Navels should start the back half of October. Lemons have firmed once again on very tight domestic supplies; quality is poor to fair. 115’s and 140’s are the tightest. Standards dominate. New acreage out of D3 has begun to harvest. Mexican and Chilean fruit continues to be available in limited volumes. Lime markets are active, supplies remain extremely tight, and quality is fair to good with decent juice content. Anticipate strong markets into the next year. Red and Green Seedless markets are active and strengthening. Demand and quality are both very good. The transition to 16 LB storage containers continues. Cantaloupe markets are steady to slightly lower while demand is weakening. Initial, limited, Desert production may begin as early as the first week of next month. We should see some Mexican-sourced product by the end of next month and Guatemala is expected to come online by mid November. Sizes continue to skew on 9’s and 12’s but there are decent supplies of 15’s and 18’s. Honeydew markets are fairly strong; production has now stabilized. The best availability is on 5’s and 6’s. Quality on both Lopes and Dews is good to very good. Watermelon markets are firmer and strong; volume out of NM is currently much less than normal. CA production will continue for another 2-3 weeks. We expect to see availability out of Nogales by the middle to end of October. Overall quality is very good. Markets have softened due to improved production out of GA. NJ quality remains good while MI is ranging from fair to good. GA quality is decent but color has been affected by White Fly. NC and SC have limited supplies with good to very good quality. Past, consistently-high FOB’s have weakened demand. With volume expected to improve next week partially due to new fields breaking in Baja, markets should gradually stair-step down. Better volume from the west will affect GA’s distribution into the Midwest. Overall quality is improving and is ranging from fair to very good. Markets are firmer. The Canadian deal is just about over while MI and NJ supplies continue. We’ll see more Jumbo’s and Choppers out of GA next week. Quality is good. Markets have strengthened on lower volume partially due to cooler night temps that are also causing some shriveling and turners. We expect a large range in quality by next week. Production continues out of Stockton/Lodi, Gilroy/Hollister, and Santa Maria. Anticipate decent supplies for the next two-week period. Current quality is fair to excellent. WA and OR production continue with more of a local distribution focus. Supplies continue to increase out of the Carolinas and GA while the Jersey deal continues on. The MI deal has slowed to a trickle due to much cooler weather. GA has some lighter color due to White Fly but overall quality is good to very good. Markets remain at relatively strong levels with no significant changes expected next week. CA quality continues with a wide range of quality from poor to very good, with Zucchini generally having the better quality. Current primary source areas are Santa Maria & Gilroy/Hollister with a little production volume out of Fresno. We may see some Zucchini cross into Nogales by the end of next week followed by Yellow the week after. Markets are fairly steady coast to coast, partially due to still-sluggish demand. We may see a bump up in eastern markets next week as regional volumes continue to dissipate; Roma availability is tightening faster than all other types. The Quincy deal will start back up within the next three weeks. In the west, cooler temps have slowed production just a bit and rain is in the picture for the end of this week. Oxnard and Oceanside continue to have good Vine Ripe volume. Overall quality remains good. Alabama: A lot of recent rain will affect quality that is still generally good. Western NC & Eastern TN: Harvest volume has taken a bump up. There are some deals to be made on Grapes. Overall quality is good. 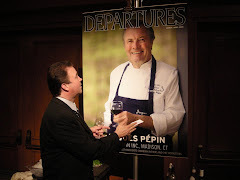 The TN deal may last another three weeks. Kentucky: Minimal production lingers on. Eastern Shore VA & Maryland: The VA deal is really winding down but some shippers may last another three weeks. Quality is fairly good. Ohio & Michigan: MI Romas have finished for the season and overall volume is dismal; quality issues linger on remaining Romas, Cherries, and Grapes. Some new Mature Green acreage is breaking in OH that may help this deal last into mid October; overall volume is decent and quality is ranging from fair to good.